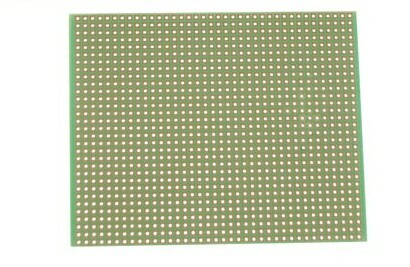 A General purpose single sided copper board, punched on a 0.1" pitch. The board is laid out with single individual holes. Suitable for the hard wiring of discrete components.